Mt Hope Heating and Cooling Ltd. Whether you are looking for a new HVAC System, Water Heater or Fireplace with all the trimmings, Mt Hope Heating and Cooling Ltd, your "Neighbourhood Comfort Supplier", and Water Heaters R Us, make it easy. 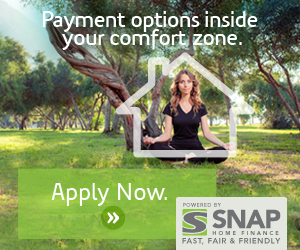 Get Pre Approved from SNAP Home Finance Today!!! Call Mt Hope Heating and Cooling Today!! !